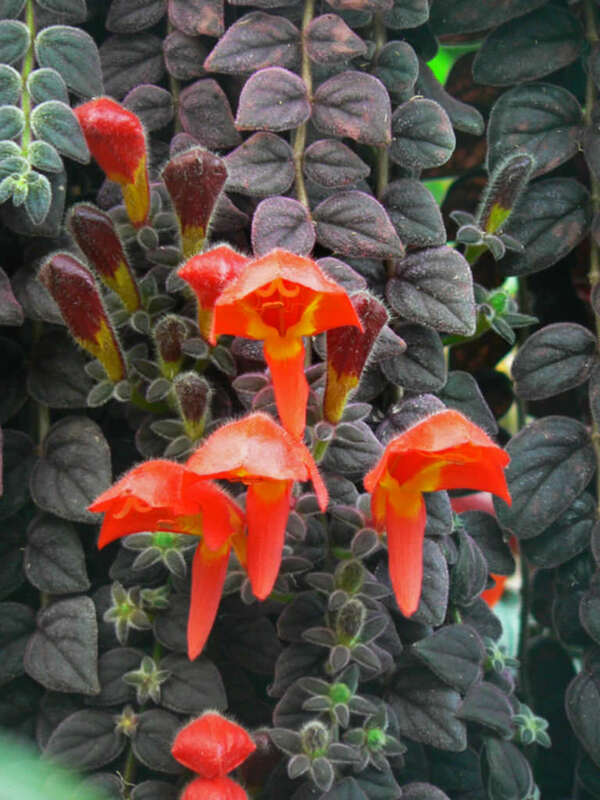 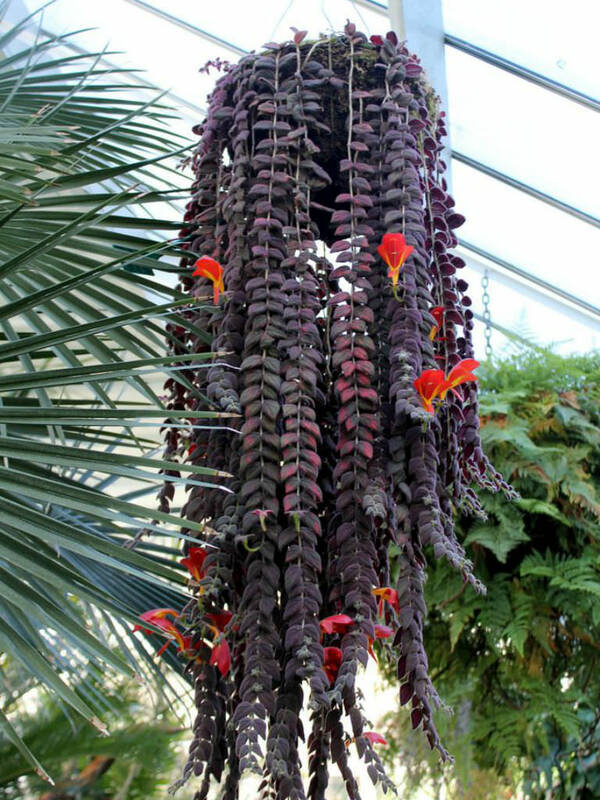 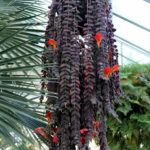 Columnea gloriosa is a perennial plant, known for the red long tubular shaped flowers appearing like leaping fish. 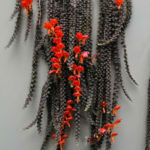 It has long slender pendulous branches with opposite pairs of slightly hairy green leaves. 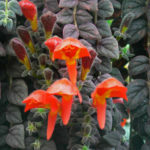 Bright scarlet, tubular flowers with yellow throats appear at every leaf joint. 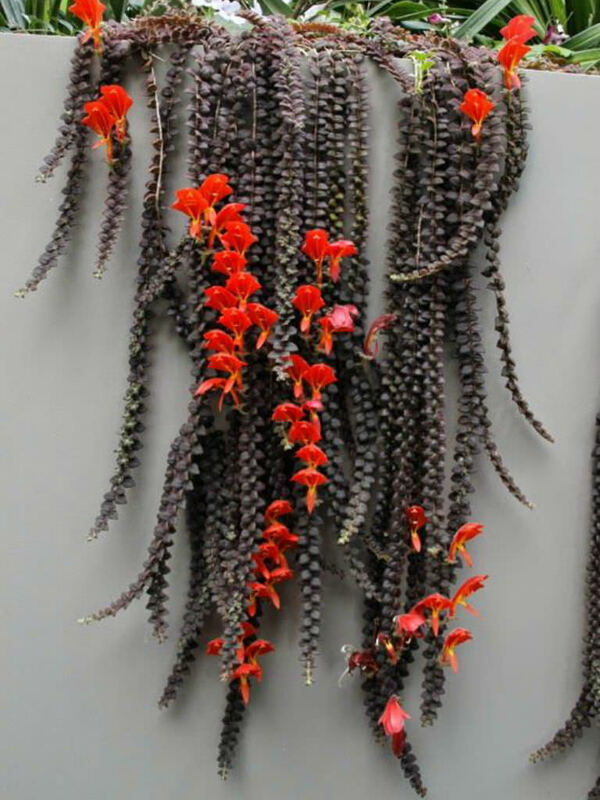 Long stems can reach up to 3 feet (90 cm). 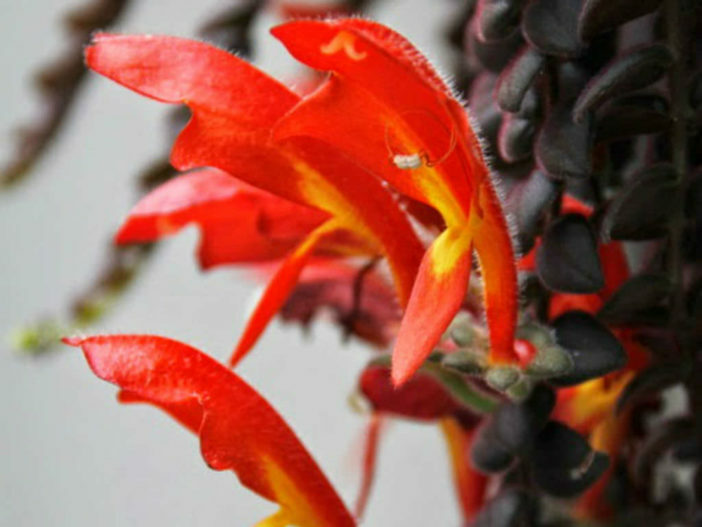 Native to Central and South America and the Caribbean.